Nestled on Chehalem Mountain overlooking Oregon's Willamette Valley, home of award winning Pinot Noirs. This cozy guest house is the perfect base for wine tasting and sightseeing. Located near the popular Allison Inn & Spa and Jory Restaurant. Quiet and serene, yet close to wineries and all the Willamette Valley has to offer. Explore the Oregon coast about an hour away or awe at the splendor of Mt Hood and the Oregon Cascades. Both perfect for a day trip of sightseeing. 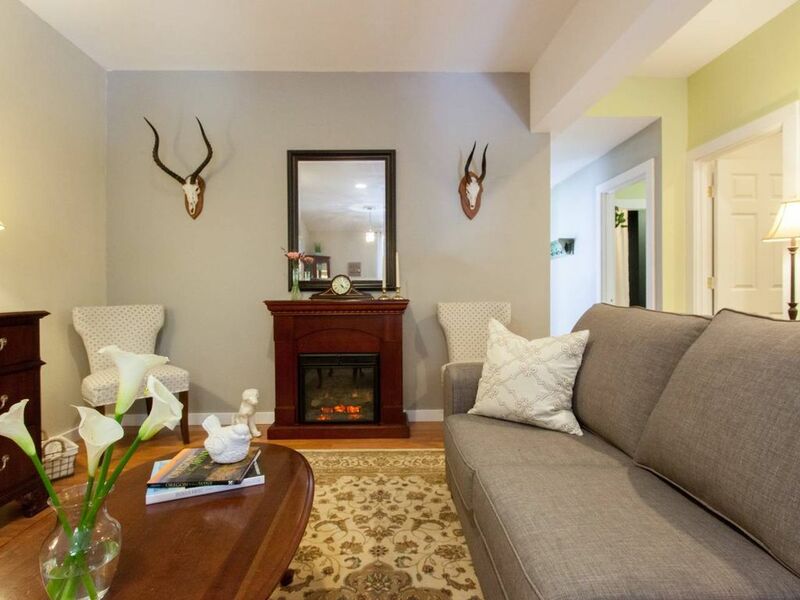 Relax and enjoy the coziness of this stunning yet comfy one bedroom, one bath guest cottage. Enjoy the serenity of this rural setting just minutes to downtown Newberg. Marvel at the views of the geese, goats and dogs from your private deck. Prepare a gourmet meal in the full, kitchen. Or cozy up by the fireplace with a glass of Oregon Pinot and reminisce of your days adventures and in the warmth of your own beautiful cottage.